Well, today was kind of a "hodge-podge" day. I did lots of little things concerning the neck, interrupted here and there with another thing that was going on at my house — for a large part of the day, I was checking on the tree trimmers who were working in my yard. But, despite that, I was able to get a lot of little things done today. 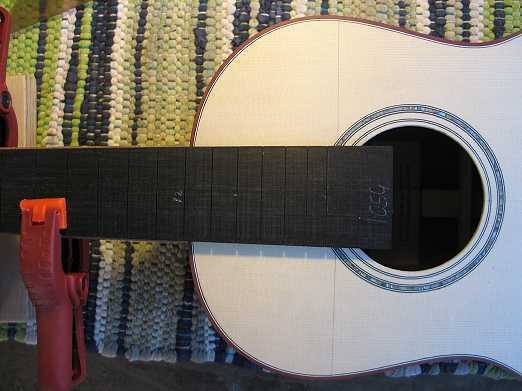 Below you see that I have trimmed the neck blank flush with the peghead overlay. (I used my Robo-Sander to do that.) I have also marked for thinning the peghead (1/2" thick), which I will do tomorrow. Here I have routed the center of the heel out to about 1/16" deep (done with my Dremel), leaving about 3/16" of an edge on both sides of the heel. 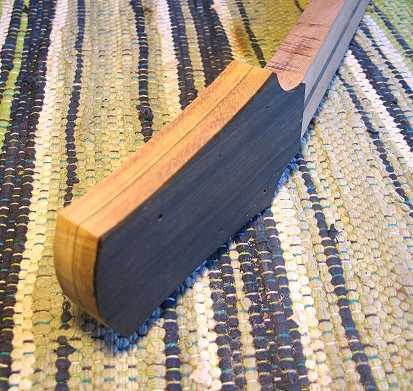 This edge is what will actually contact the body; having a narrow edge such as this makes it easier to do the fitting of the neck to the body, because all I have to sand, then, is that narrow edge. 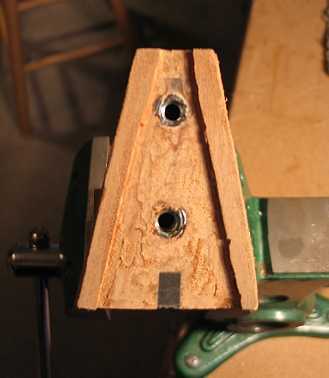 The routed cavity in the middle is to allow for the slight curvature of the body. Here I have marked and trimmed the heel close to its outline. 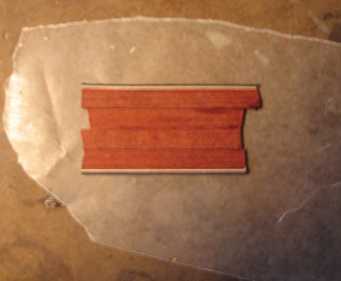 Another little thing I did today was to glue together some scraps of my bloodwood binding, so I can make a heelcap tomorrow. We Have a Soundbox Now!!! Peghead, Tuners, Dots, & Frets!! Set-Up / It's All Done! 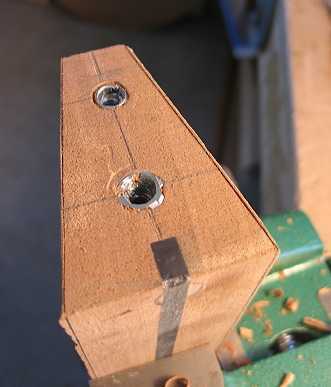 Another thing I did was to determine where to cut off the fingerboard. 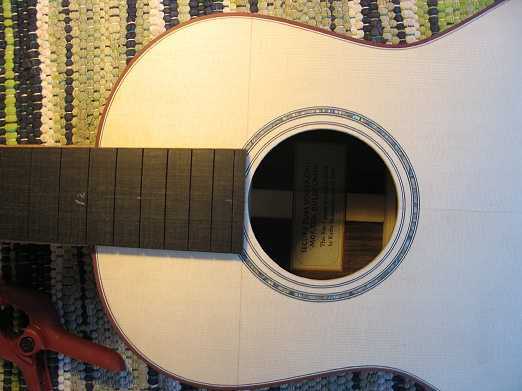 I have marked the top where I want the fingerboard to end. Now I can mark where the fingerboard meets that pencil line, and cut the fingerboard to that line.